Florine Offergelt was born in the Netherlands. Soon after her art and fashion studies, she left for Italy. There, through her various artistic and creative endeavors in Milano's fashion, television, theatre and illusionism, she developed her own playful, unique insights of the magical world that we all live in.In the late nineties, she returned to her original passion of sculpting, and started the solitary process of creating and experimenting to bring her ideas to fruition – mainly with the medium of clay. Especially 'raku' has captured her interest. Florine uses this technique frequently to enhance her creations with spectacular glazes. Or, depending upon her mood, a sober Zen style, advocating less is more. In her work one can often recognize Florine's fascination for the world of performance. She converts real and exceptional individuals into fantastic, ironic and unimaginable creatures. Vivid sculptures, with unexpected colors, voluptuous and harmonic configurations, capable of inducing any of a plethora of emotions. 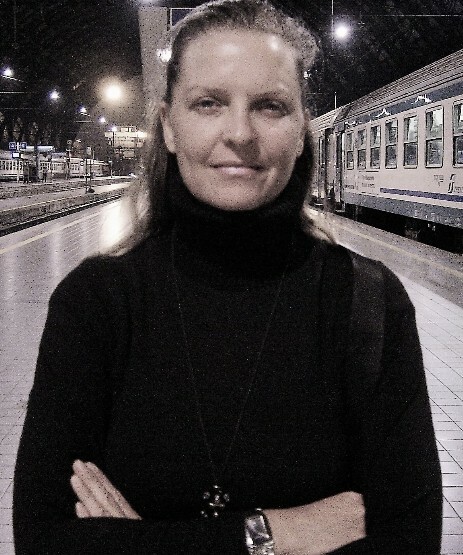 Florine is now an established professional artist, regularly exposing in galleries and exhibitions throughout Italy. Her charming, eclectic art is widely appreciated. Her success is reflected by the numerous requests to participate in prestigious expositions including the Milano Arte Expo, Arte Genova and Arte Padova. Her works on demand include a commission to provide the yearly prize trophies for the Premio Franco Reitano song festival.